If you come to Sedona to enjoy the beautiful red rocks or to experience a vortex or two, you are not alone. Hiking in the red rocks accounts for the majority of Sedona visitors' aspirations and it's estimated that about half of the visitors to Sedona want to experience a vortex. 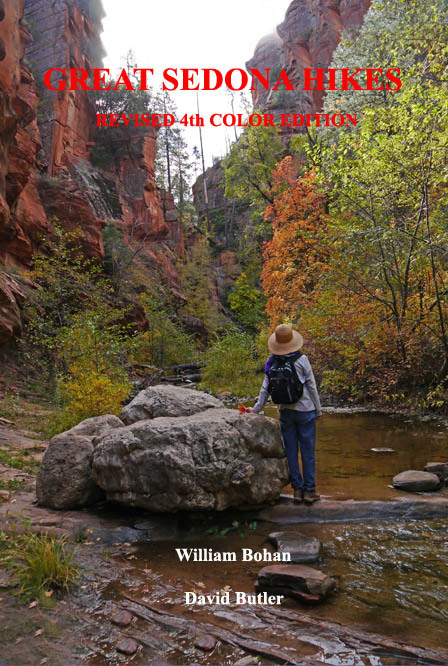 For those looking for complete, detailed information on hiking the best Sedona trails, we have published a revised fifth edition of our hiking guide Great Sedona Hikes. Our print-on-demand format ensures that the copy you receive reflects the latest trail conditions. Other hiking books are produced by the thousands in China, then stored awaiting resale and quickly become out-of-date as changes to the trails occur. We also have a Kindle Edition available. 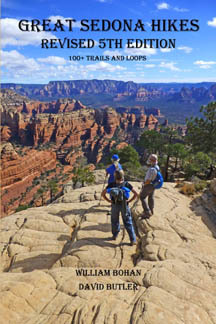 This 4th Edition includes 32 of Sedona's greatest hikes and includes many new photos, updated trail descriptions, more-detailed maps including cumulative ascent data and trail elevation profiles. You'll find estimated hiking times and trail popularity. It includes QR Code Technology with links to additional color photos for each of the included hikes. Our top 12 favorite Sedona hikes are featured among the best 32 hikes in the Sedona area. And like the black and white Great Sedona Hikes Revised 5th Edition above, Great Sedona Hikes Revised 4th Color Edition, it is printed on-demand so it is always contains the latest trail conditions. For example, we updated it again in May 2018. It contains specific directions to the trailheads, comprehensive trail descriptions complete with GPS waypoints, and colorful commentary about 32 of the most striking trails. 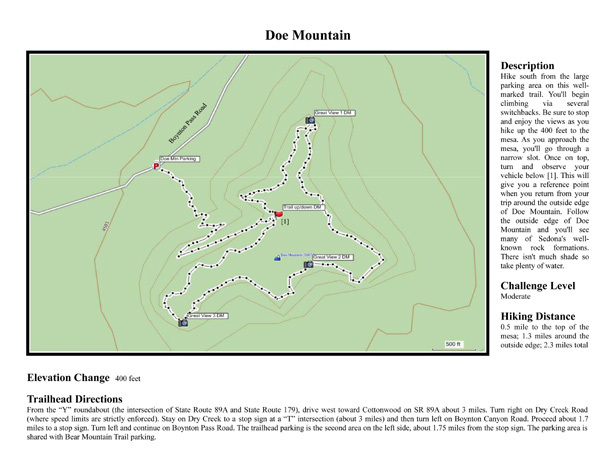 The individual trail maps are based on actual GPS “tracks." Hiking tips, Sedona weather information, sunrise/sunset data, and parking pass requirements are included to help you plan your hikes. We also have a Kindle Edition available. As an added bonus, ten other "power spots" where vortex energy has been discovered are identified and directions to each are included. If you want to find the best-known and least-known Sedona vortexes, and have a chance to experience their magic and power, this book is for you. We also have a Kindle Edition available. 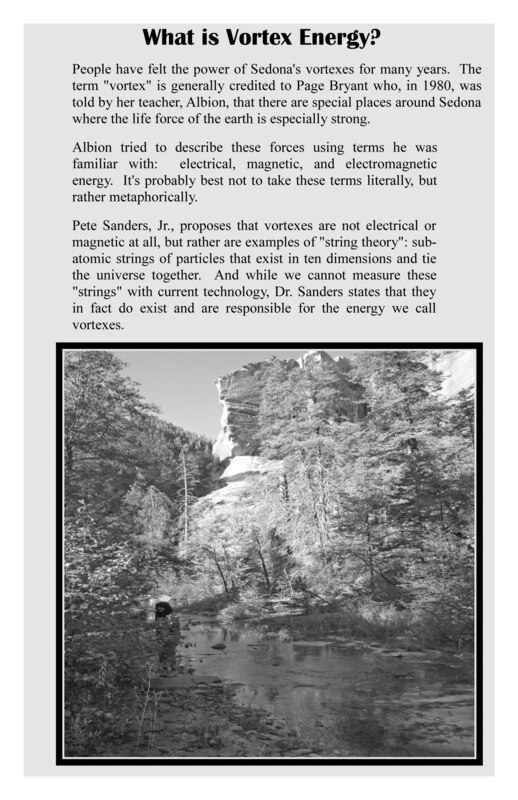 We also offer the same vortex information in a black and white (non color) version. The difference is the photographs and maps as illustrated below. When people look at the two editions side-by-side they usually prefer the color edition because of the beautiful color photographs and maps. But the black and white version may meet your needs. Hiking the Vortexes (black and white version) contains the same information as the color edition above, but without the color. If you are on a budget or beautiful color photos and maps aren't worth the few extra dollars, then by all means buy the black and white edition. Because the two editions have the same content, the black and white version also contains background information on vortexes, how to prepare for your vortex experience, and a master map to their locations. Individual detailed maps complete with GPS waypoints make it easy to drive to the parking areas for each of Sedona's four main vortexes. After you park, individual trail maps (based on actual GPS tracks) and photographs guide you to these four well-known vortexes. If you want to find the best-known and least-known Sedona vortexes, and have a chance to experience their magic and power, this budget-priced book is for you. This edition is also printed and bound in the USA and was updated in August 2017.We also have a Kindle Edition available. A note on the following information available for download..... I may be out on a hike when you place your order for Sedona Hiking Trail GPS data, Vortex Maps or Top 10 Sedona Hiking Trails. In some cases it may take several hours (maybe almost a full day) for me to return and find that you have purchased the above download files. Please be patient. If you have a portable GPS unit with mapping software (so that you can upload GPS maps and routes to your portable GPS unit) I have a file available containing more than 90 hiking trails in Sedona. Click here for more information. 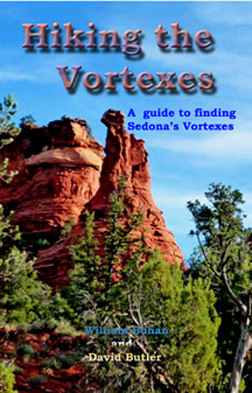 As an alternative to the Hiking the Vortexes books we've developed a Vortex Guide which includes maps to the four main Sedona vortexes. We also include an explanation of vortex energy, history and how best to maximize your vortex experience in the Vortex Guide. The Vortex Guide with the full color maps and vortex information is available for download here. The Sedona Relocation Guide includes "Sedona Stories," actual experiences of people just like you who dreamed of moving to Sedona and how they finally achieved their dream. Click here to see the first several pages of the book. 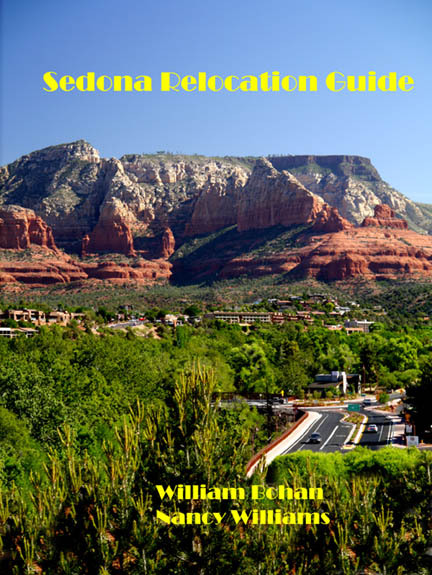 And you can purchase the Sedona Relocation Guide clicking here. I also have a Kindle Edition available.